In recent years, the public relations industry has been revolutionised, largely thanks to the power of social media, says Tara Dulake. It lets us publish our thoughts on an event instantaneously, which, in the world of PR, massively helps in alerting audiences of things they need to know. 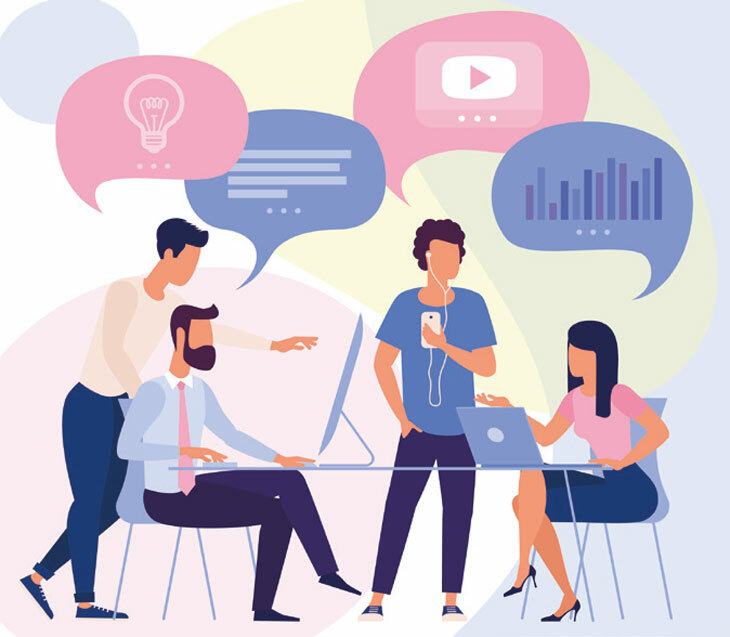 At the initial brainstorm for a campaign, one of the first questions to consider is whether social media would be suitable for the campaign in question. How could social media marketing add value to the campaign, and what could it accomplish that other elements in the campaign – advertising, PR and events for example – just couldn’t? Using social media for a campaign can have so many benefits for your business, even dictating the success of the whole thing. The main reason to consider social media marketing is if you want to reach out to new audiences who may be more open to engagement on social channels, rather than traditional marketing. If you aim to reach younger audiences and first-time buyers, social media marketing is ideal as most customers are actively online. By reaching a wider audience, you can start to conduct research into your target demographic. You can start to discover what they’re looking at and thinking about, helping tailor your campaign to them specifically. Of course, there are plenty of other reasons to use social media. You can grow influence and authority across a variety of social channels through sharing your own content and prospective customers’ too. Your business can also benefit from tapping into your own, and external, communities across multiple social channels, with targeted website traffic being generated from all of your new sources. If you aim to stand out from the competition, social media can help by using a contemporary way to promote your campaign. Your unique content could include live streams from events using Facebook Live and Periscope, case studies from previous purchasers and, from a PR perspective, online coverage generated can be shared as soon as it comes in. Social media is an open forum for users’ opinions, it’s important to expect some negativity. However, as social media is an open and honest forum for all users to express opinions, it’s important to expect some negativity. From time to time negative comments will be made, but it’s how you deal with them that is important. Responding immediately and attempting to rectify issues for the user in a timely manner will boost your reputation, and people will appreciate the response. Responses to negative comments can help to build brand trust as users see you try to rectify the problem, ultimately creating another positive for your business. Get trending: Follow the trending topics and hashtags, making sure you engage with them. Talking about trending topics will help start a conversation with other users, generating more activity and helping you get your brand name on different news feeds. Creating your own hashtag can also help engagement, and by encouraging your followers to tweet your hashtag, you can get yourselves trending. Interactive relationships: Interact with your current clients and potential purchasers and build up relationships through talking to them through your social platforms. Follow some property-related hashtags and reply to relevant tweets with how your business can help. You can build loyalty and manage reputation with current followers too, by replying to their posts. Sharing is caring: Whether it’s a new property up for sale on your website, or a news story relating to rent prices and landlord fees, sharing relevant content helps generate user interest in your campaign. Users will appreciate that you’re keeping them in the know about information that could be relevant and they could share with their own followers. Getting users to share and engage with your content to be in with a chance of winning something for their new home is a guaranteed way to generate brand interest – who doesn’t love a freebie?! We all click on the top few results on search engines and never look further than the first page of results. Social media pages are always within those top results, proving that everything people say about your business is accessible for anyone that searches your name. Social media has the capability to multiply your SEO impact, as virally sharing news about your business by online word of mouth creates waves that strengthen your brand. However, it’s important to note that how you interact with your customers on social media will create a positive (or negative) synergy that will be long-lasting, long after the actual event has happened.